A companion book to the award-winning series! LONG AGO, IN THE DAYS OF EEN . . . 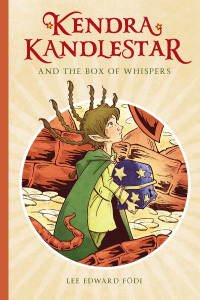 Explore the magical history of Kendra Kandlestar's world in this collection of tales from the Land of Een, including stories such as Leemus Longbraids and the Taming of the Owl, The Dragon Egg of Een, and Shaden Shiverbone and the Sorceress of Sight.
. . . or check your favorite digital book provider! IN SEARCH OF STOLEN WHISPERS . . .
For over a thousand years, the Box of Whispers has guarded the most precious treasure in the Land of Een. So, when the box is suddenly stolen, an unlikely crew is assembled to travel into the wilds of the outside world—and, to everyone’s surprise, one of the chosen is the young misfit, Kendra Kandlestar. Before she knows it, the girl who has always dreamed of adventure is swept away on a magical journey where doors speak in riddles, plants cast dangerous spells, and strange creatures seem to lurk in every shadow—and the only thing she has to help her is a handful of enchanted carrot seeds. LOST IN A MAZE OF MYSTERY . . .
Everyone knows that the creatures of the outside world are forbidden by magic to enter the Land of Een. 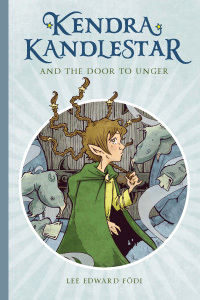 That’s why Kendra Kandlestar is so surprised when a giant Unger arrives in the middle of the night to deliver a cryptic message: if she can find the Door to Unger, she will be able to unlock the truth about what really happened to her long-lost family. But when Kendra finds herself trekking through the wilderness with a magic-peddling faun and a rebellious Unger, she begins to wonder if it isn’t all just a clever trap to lead her into the heart of danger. TRAPPED IN A PIT OF MONSTERS . . . 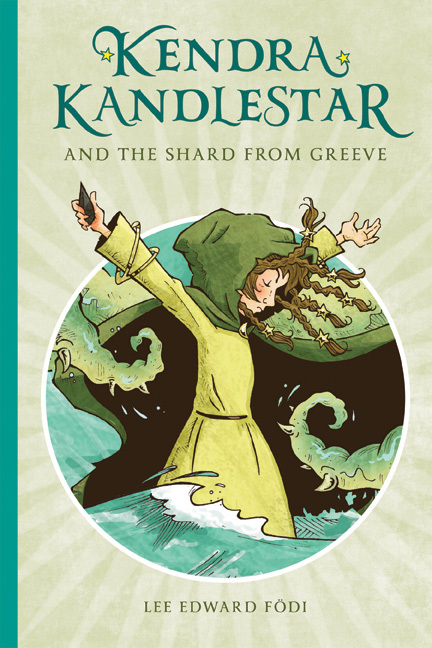 When young Kendra Kandlestar is granted a wand by the ancient tree of Een, she yearns to become a great sorceress. But magic doesn’t come easily to Kendra, and she soon turns to the Shard from Greeve—and its dark power—to help rescue her brother from the Rumble Pit, a deadly gladiator arena where centaurs, dragons, and other mythical creatures are forced to fight in fierce contests for survival. Yet, as Kendra is seduced by the power of the insidious Shard, she discovers that the greatest battle just might be the one brewing inside her own heart. A SPLINTER IN SORCERY . . . According to Een legend, a Kazah stone grants a wizard the power to catch an echo of the past and a glimpse of the future. 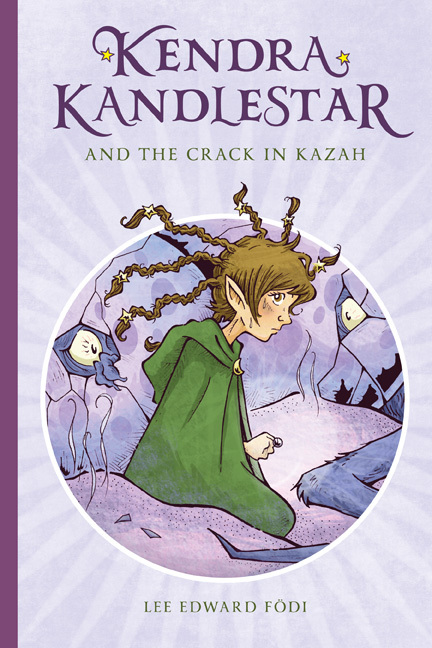 But when Kendra Kandlestar is given her own cracked and broken Kazah stone, she soon discovers that it’s capable of so much more. With her faithful friend Oki by her side, Kendra is sent on an unimaginable journey across the cosmos, entering worlds that are strange and bewildering—and, at the same time, all too familiar. Trapped in this adventure, Kendra finds herself faced with choices that just may unravel the mysterious history of the Eens—and destroy their future. A QUEST FOR PEACE . 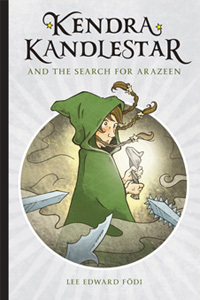 . .
Every good wizard of Een undertakes the search to find Arazeen, a mythical state of peace and wonder. But young Kendra Kandlestar only cares about finding her long-lost family—something she believes she can do by locating the fabled City on the Storm. However, all is not what it seems at the mysterious castle in the clouds and after a devastating attack leaves Kendra weak and empty, she is ready to give up on everything. As Shuuunga the Unger witch marches upon the Land of Een with an army of monsters, thousands strong, Kendra must somehow find the power within to stand up for her people—and herself.